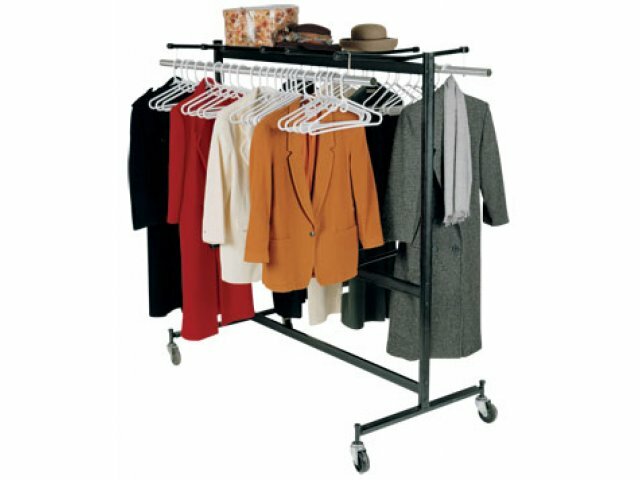 Heavy Duty Portable Coat Rack 5'7"
This heavy-duty, coat rack holds 70 coats (hangers not included), and features heavy-duty casters for easy mobility. Features 4" hard-rubber Colson casters that are easier on your floors. Cross beams above the coat rods allow for placing larger items. 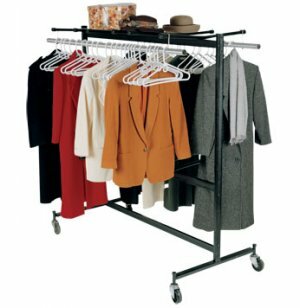 This coat rack can be converted to a folding-chair caddy by simply removing the two hanging rods.